Description: View of the Derby Refining Company located at 1100 East 21st Street. Description: Looking south at terminal building and air traffic control tower. 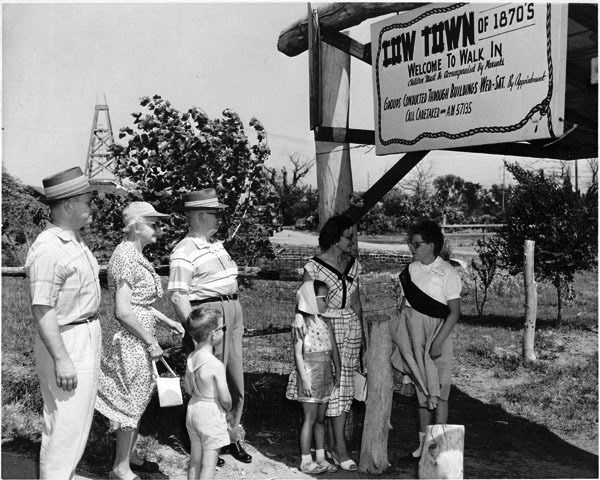 Listed in the 1961 City Directory with this note: "...constructed at a cost of $13-million and covering 2,240 acres. Preparations are under way to equip the Municipal Airport for the jet age." 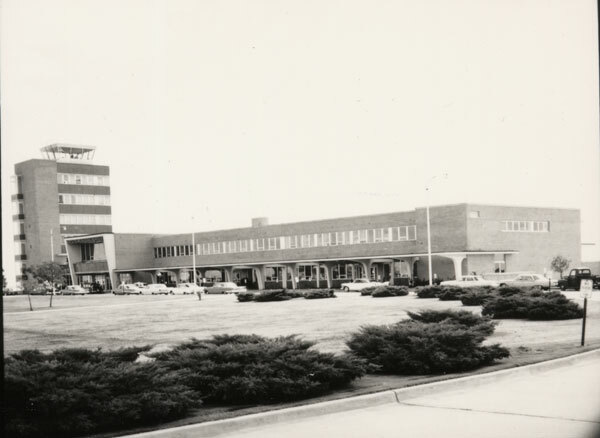 The name was changed to Mid-Continent Airport in about 1974. Keywords: Wichita, aviation, business and industry, public services, transportation, automobiles, pickup trucks. Description: View of Mueller Flowers, 3123 East Douglas, near southwest corner of Hillside Street and Douglas Avenue. View is looking south. Description: Looking north toward the Cotillion Ballroom. The building is located at 11120 West Kellogg. 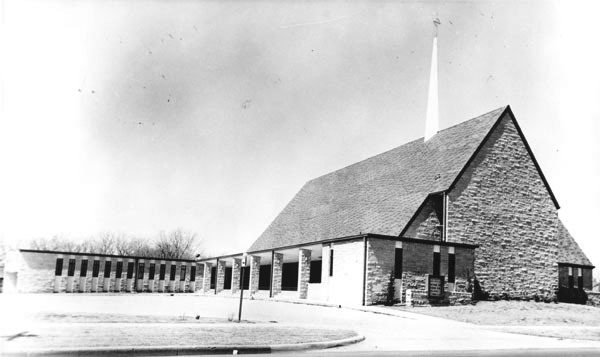 Photograph taken May 19, 1961. Keywords: Wichita, arts and entertainment, buildings. 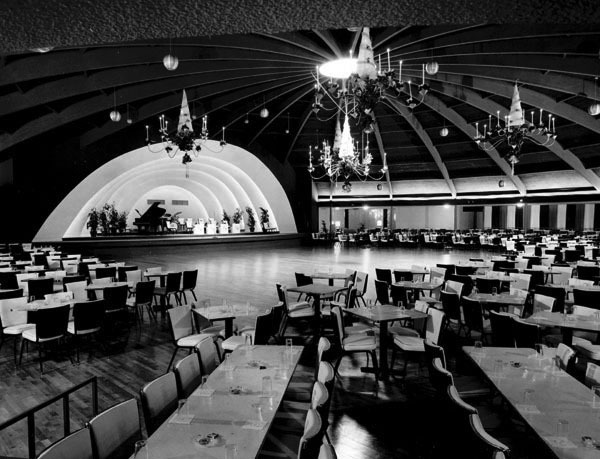 Description: Interior view of Cotillion Ballroom, 11120 West Kellogg Street. Large wooden beams support 24-foot domed ceiling above dance floor. Building constructed in 1960. Keywords: Wichita, arts and entertaiment, business and industry, buildings.